Today marks the 51st anniversary of one of the most intriguing incidents in Atlantic Canadian history. 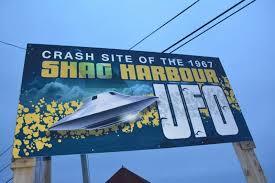 On this day October 4th , 1967, witnesses, locals, scientists, the armed forces, law enforcement officials and extraterrestrial’s alike were touched by the Shag Harbour UFO incident. 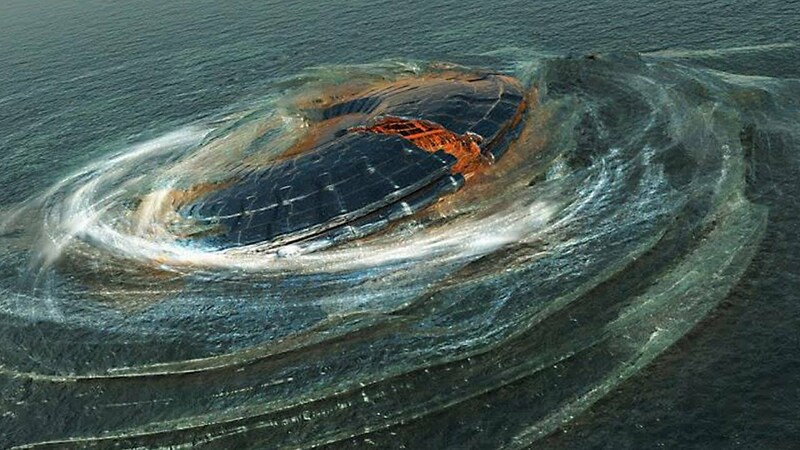 Yes you heard that right…an actual officially documented UFO Sighting and crash. While traveling en route to Toronto, Air Canada Captain Pierre Charbounneau on Flight 305 pointed out to co-pilot Bob Ralph that there was something strange out the left side of the aircraft at 7:15PM. Charbounneau reported an object tracking along on a parallel course a few miles away. He describes it as a brilliantly lit, rectangular object with a string of smaller lights trailing the object. At 7:19, the pilots noticed a sizeable silent explosion near the large object; two minutes later, a second explosion occurred which faded to a blue cloud around the object. Sounds like the beginning of a sci-fi best seller. Later that evening witnesses noticed the extremely bright lights associated with a UFO and reported the sightings to the Coast Guard as well as to CFB Greenwood and the Lunenburg Detachment of the RCMP. 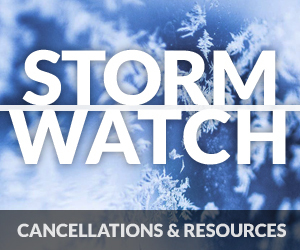 In Halifax the Chronicle-Herald and local radio stations reported a glowing object that had been seen by many people who had called their newsroom. They reported witnessing strange glowing objects flying around Halifax at around 10:00 PM. Sometime around 11:20 ADT, the wheels must have came off the crazy bus as the aliens could not handle the beauty of The East Coast and crashed into the water off Shag Harbour. Witnesses reported hearing a loud “whistling” noise, like a falling bomb, the a big “whoosh” sound followed by a big bang and lights out. Ultimately because the distressed object could not be identified it was documented officially with the Government Of Canada records as a UFO. Two days after the incident had been observed, a detachment of RCN divers from Fleet Diving Unit Atlantic was assembled and for the next three days they combed the seafloor of the Gulf of Maine off Shag Harbor looking for an object. 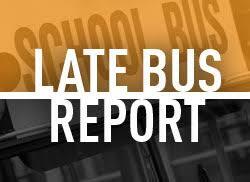 The final report said no trace of an object was found. The head of the RCAF’s “Air Desk” in Ottawa, Squadron Leader Bain, who recommended the RCN undertake an underwater search, was also quoted, saying the RCAF was “very interested” in the matter. 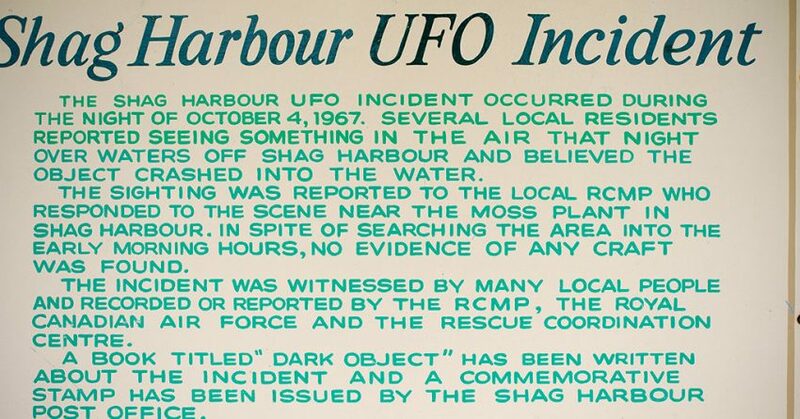 “We get hundreds of reports every week, but the Shag Harbor incident is one of the few where we may get something concrete on it.” The article also mentioned UFO reports that immediately preceded the incident, including one from a woman in Halifax around 10:00 p.m. The Chronicle-Herald ran another story on October 9 titled “UFO Search Called Off,” after the Royal Canadian Navy (RCN) had ended “an intensive undersea search for the mysterious unidentified flying object that disappeared into the ocean here Wednesday night.” As to what was found, the RCN stated, “Not a trace… not a clue… not a bit of anything.” The story of the search being called off for an alleged “mysterious” “dark object” was also carried by the Canadian Press in some other Canadian newspapers. If you are ever in the tiny fishing village of Shag Harbour (pop. 400-450) you will know that you are in an extraterrestrial zone! 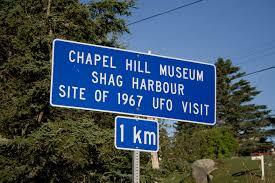 Shag Harbour has signs that point to it, witnesses that can attest to it and a museum to prove it. 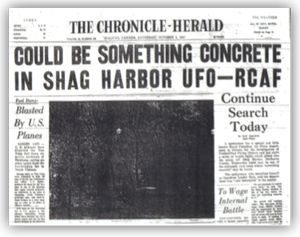 While it is not as well known as Area 51 or Sedona in Arizona, the Joshua Tree in California, or Roswell New Mexico, the legend of the Shag Harbour “UFO” Incident continues to grow to this day.